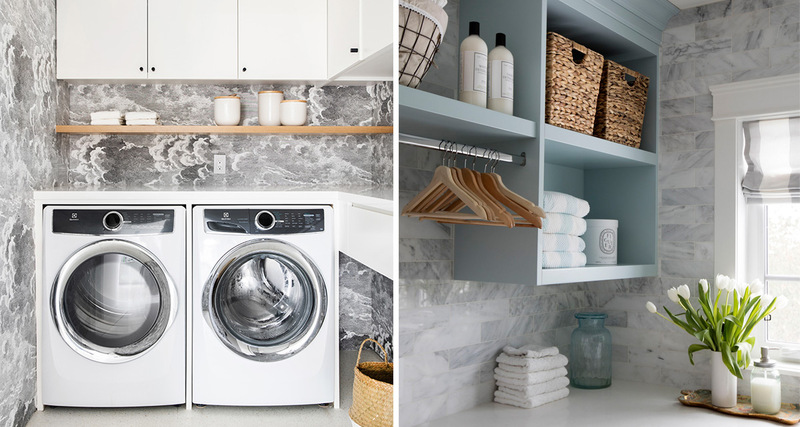 While the laundry room is certainly not the place where we want to while away our days, this is no excuse for the room not to be a functional space – and a good looking one at that! 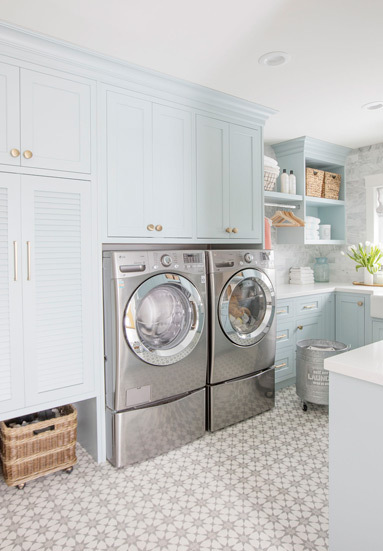 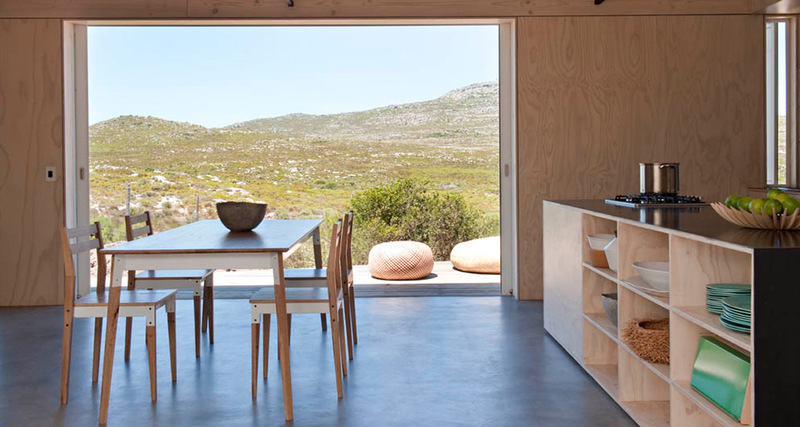 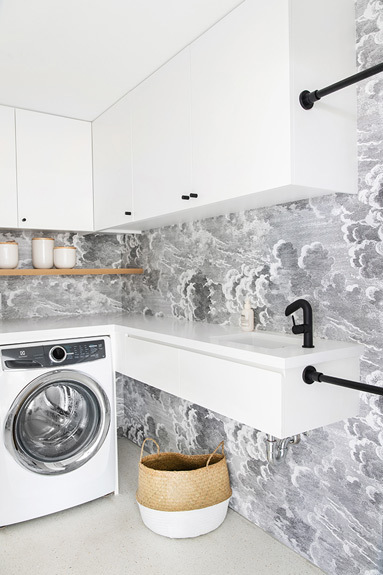 As we plan the design of a multi-functional laundry and scullery space, we are taking inspiration from these inspiring spaces which might just make you reconsider where you spend your time! 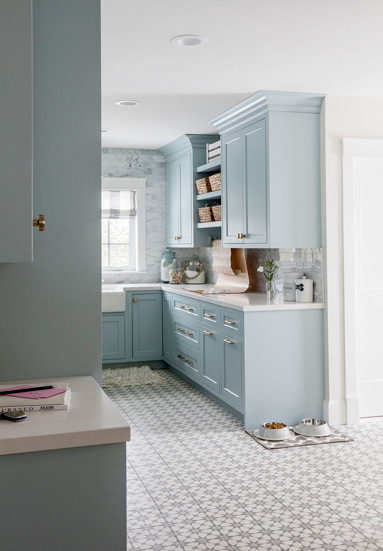 This space combines a retro patterned splashback, baby blue cabinetry, a farmhouse sink and marble in the most beautiful and luxurious way. 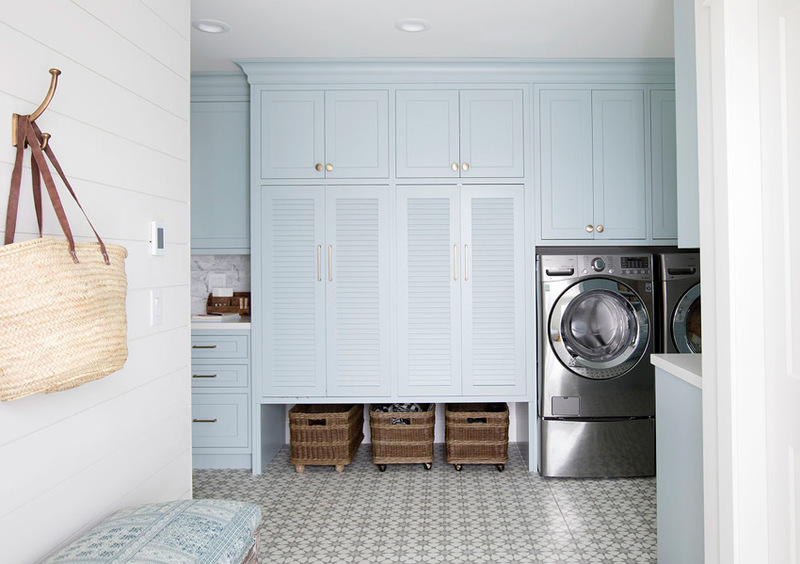 Without too many space constraints, it even features a pet’s corner and gift wrapping station! 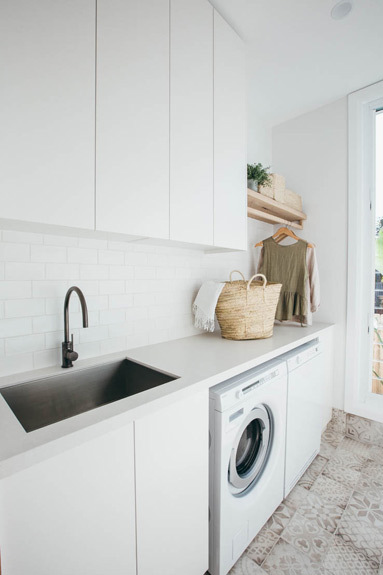 This laundry might be a little more suited to most of our available space, but is equally as beautiful in its simplicity and functionality. 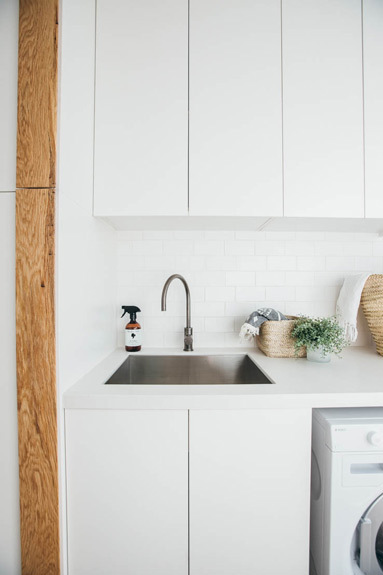 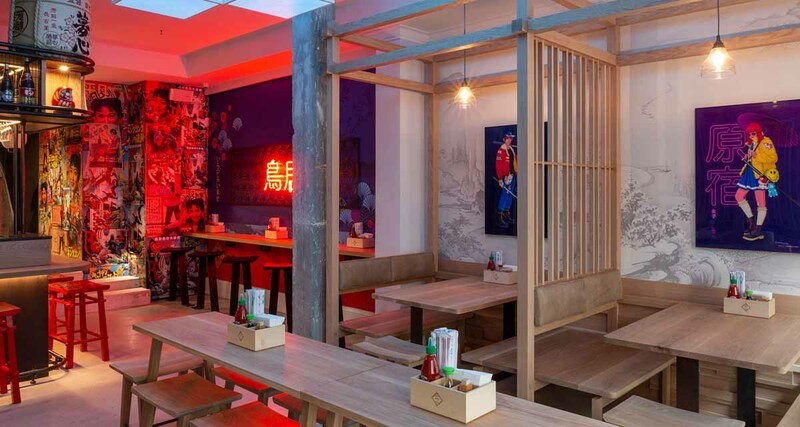 It was designed to maximise the morning light and the patterned floor tiles are beautifully offset by the simple white cabinetry and timber details. 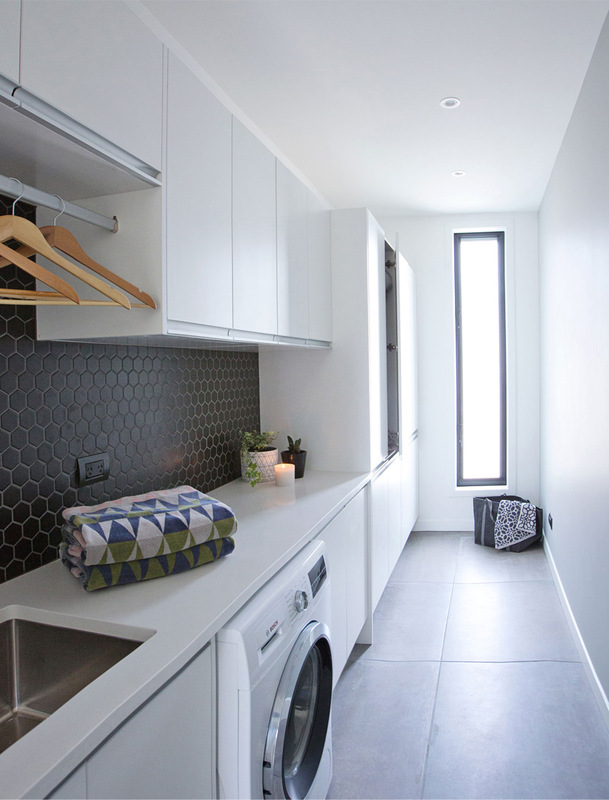 This room had quite a long must-have list including a place to hang dry clothing, a good amount of space for folding, closed storage, statement wallpaper and a sink. 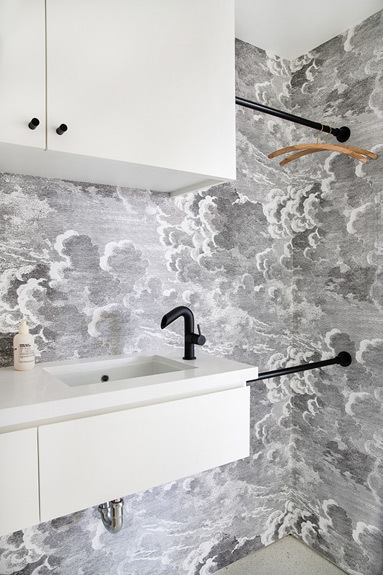 The black hardware against the wallpaper creates a bold and graphic look. 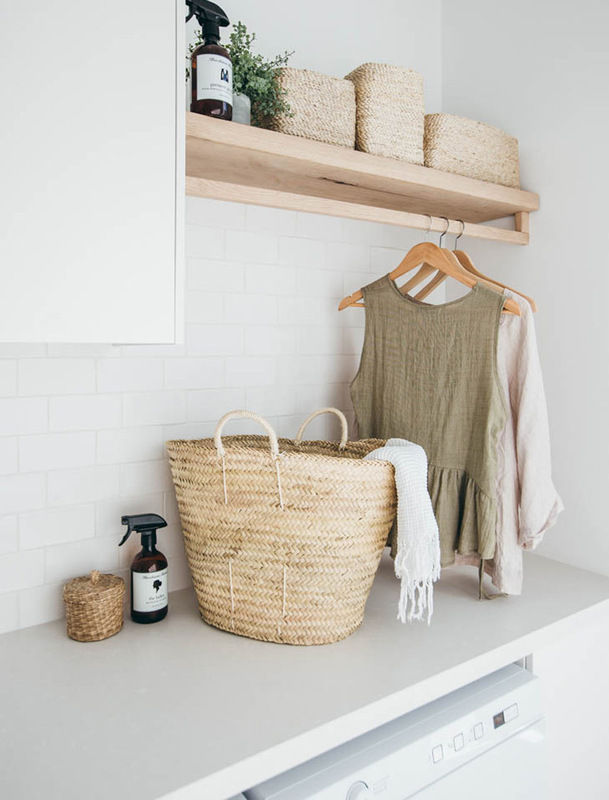 Natural elements such as the wood shelf, rattan basket and wooden hangers add warmth and texture. 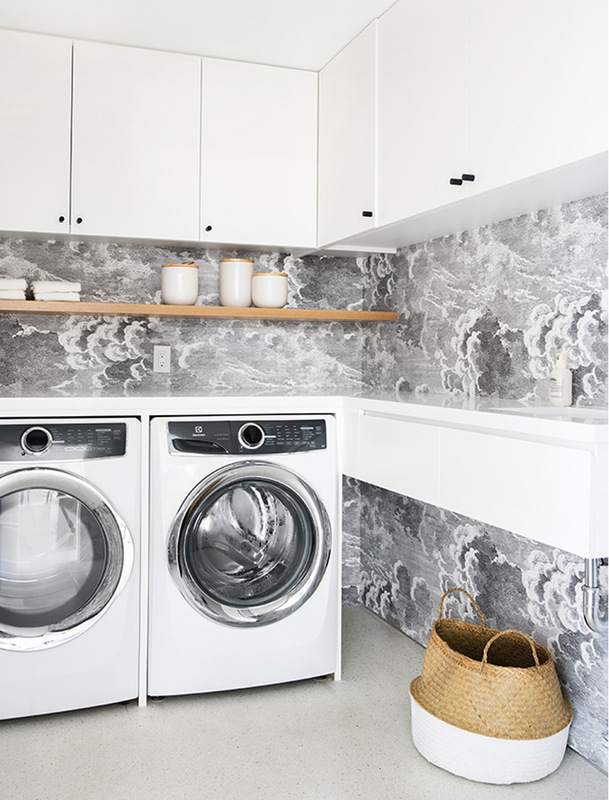 The brief for this laundry consisted of 6 words – wash, dry, fold, hang, iron and store, and it delivers on each one. 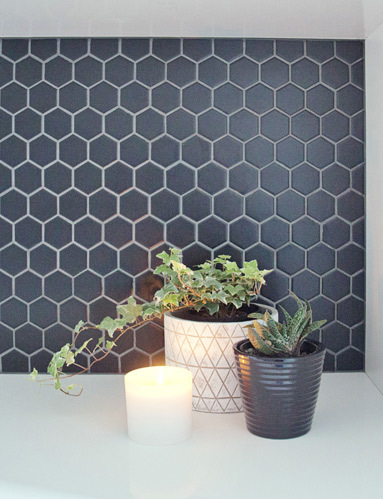 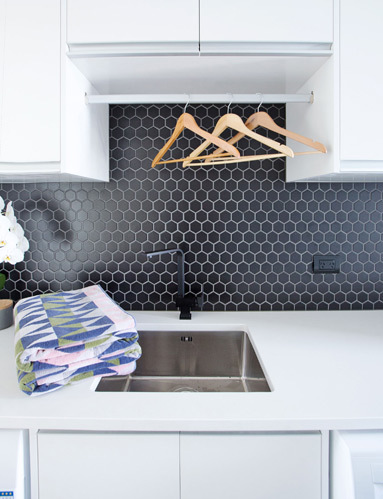 The black geometric splashback creates a contrast to the minimalistic white counter and cabinets.